JOIN US for the next FREE Academy for Future Science Australia/Keys of Enoch® Webtalk. With technological advancements, man is making steady progress towards better understanding the nature of the universe and our place within it. 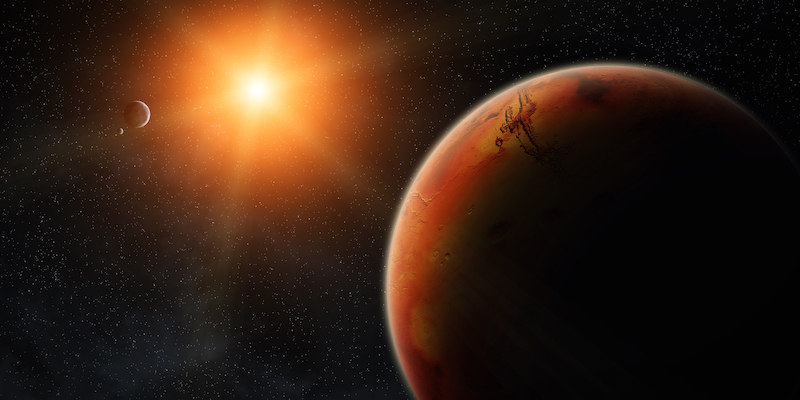 Almost every month, there are news reports about the likely presence of water on Mars and the possibility of life and our DNA-RNA coding mechanism throughout the cosmos. Recently, private space companies revealed plans to establish a base on Mars in the early 2020s, and called for participants to secure a “one-way ticket”. Space is often referred to as the final frontier for human exploration. The Book of Knowledge: The Keys of Enoch (the Keys) describe how the human race will enter into a galactic family of Nations, where space represents the next evolutionary stage of humanity or cosmic evolution. That is to say, our destiny is in space. However, as we take this great leap forward in technology and consciousness, we must remember to be guided by space law, treaties, conventions and ethics aligned to the Divine, lest we simply transport the problems that have caused chaos and destruction on earth, to other planetary realms. This webinar will explore the recent discoveries of life-supporting environments in the solar system, pyramidal formations and a Sphinx-like face on Mars, manned missions to Mars and beyond, the notion of terraforming planets, and finally how the Keys sees this great leap forward occurring from both a physical and Higher consciousness perspective. These web talks are an ongoing monthly series. Please contact us for further information. Thank you for your participation in our studies!